My cards fresh out the press. Thanks to the friendly printing people at my academy! Oh guess what, I’ve also started a facebook page, so if you want some more awesomeness in your facebook stream, like me! The summer is slowly coming to its end, but first things first. I got new business clothing from cyroline. Yes it’s great that you can look funny in the creative industry, everybody needs some benefits, right? The next two weeks are going to catapult me far out of my comfort and far in to the video zone. I’m looking forward to intense learning and presentable results. Besides my studies I’m working on my early retirement in Mexico with tequila beer and Pinjanas full of Apple hardware. 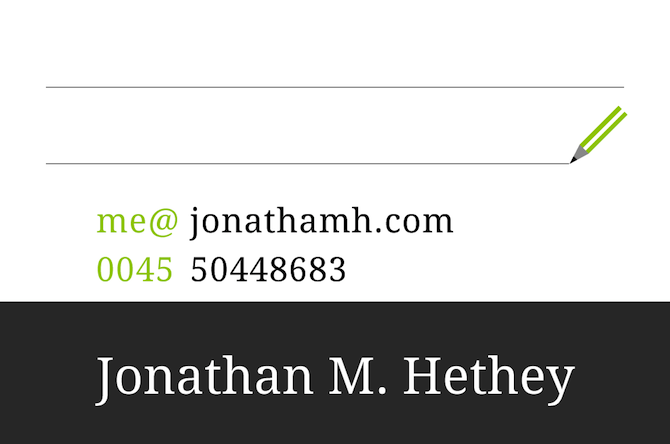 I’ve made a business card, so potential clients, co-workers and employers can contact me, after a meeting. Now, a little something about its design. 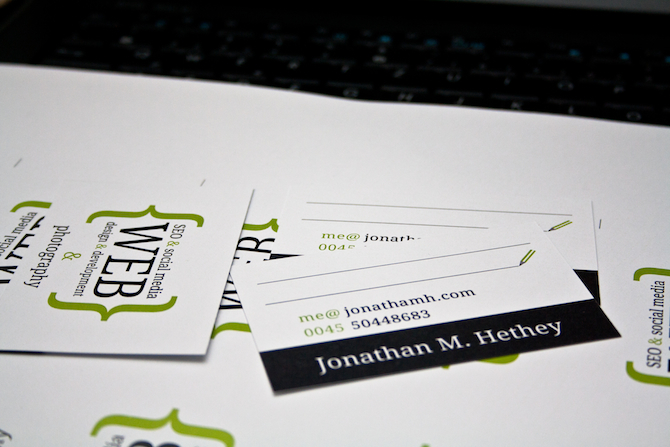 The colours used are the same as on my current portfolio, the front shows my name, phone, email and URL. 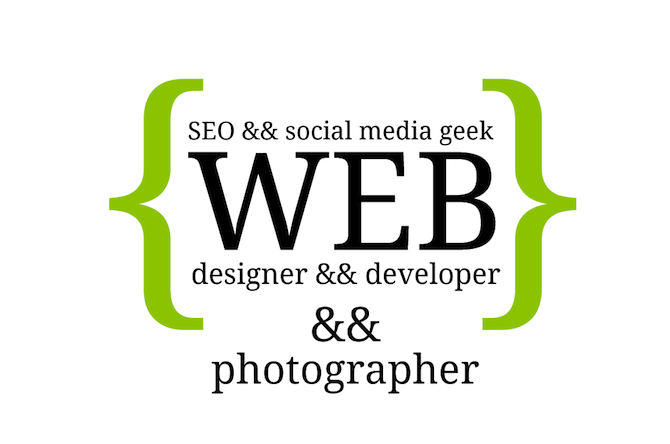 The back holds a very compressed description of the roles I like to play, like photographer, web design- and developer and on top of that SEO and social media geek. Surely you people knowing PHP or some similar language have noticed the little hints on this like the curvy brackets and the double ampersands.